City of Cardiff Council has launched a new crowdfunding platform to support projects and ideas that will change our communities for the better. It’s live now, so if you have a proposal that needs backing or investment, let them know. Crowdfunding is a way of raising finance for a project or idea by asking a large number of people to each contribute a small amount of money. It allows people to come together to fund their idea, whether it be big or small. To get started, email Make the Diff with some basic information about your project: what it is, and what you hope to achieve. The team will help get your idea onto the Spacehive website where it will be shared with people and organisations across the city. 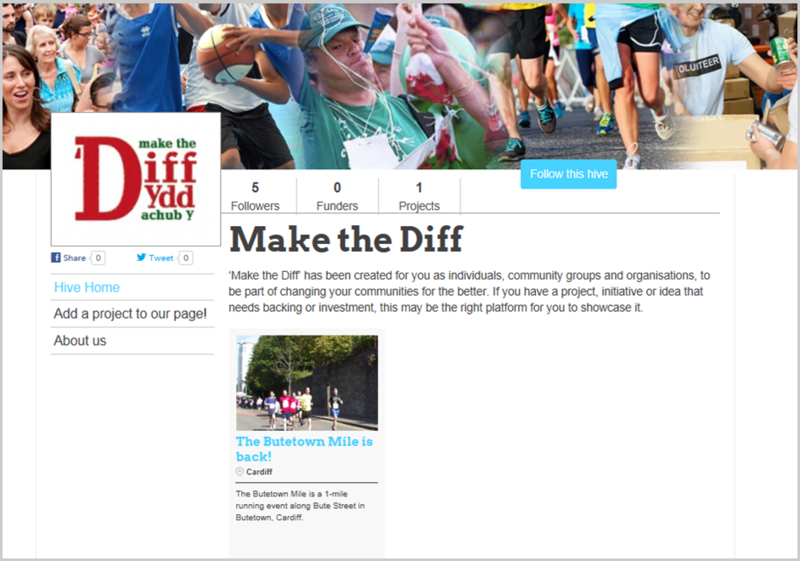 For more information visit the Make the Diff page on Spacehive or email makethediff@outlook.com.